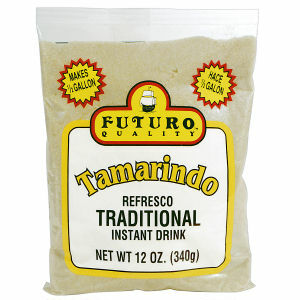 Futuro Tamarindo Mix is closest thing to "squeezing your own tamarindos". Have you ever really tried to squeeze tamarindos? Chances are you won't even know how to start, and that is why Futuro has perfected the formula to produce a large jar of tamarind drink to be enjoyed by the entire family. Tamarind has a pleasing sweet/sour flavor.